We feel a bit stalkerish posting this, but what the hell. 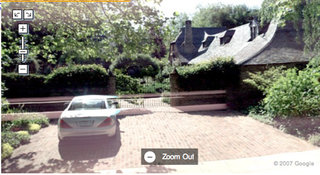 As Street View fever sweeps the nation, even the rich can no longer keep their privacy private. We're looking forward to the day we can watch ourselves live blogging on Google Earth.